Friends, today i am going to introduce "HTML Injection", which is also know as Virtual Defacement. Hope you know that HTML (Hyper Text Markup Language) is used for static website development, and used as client side execution. 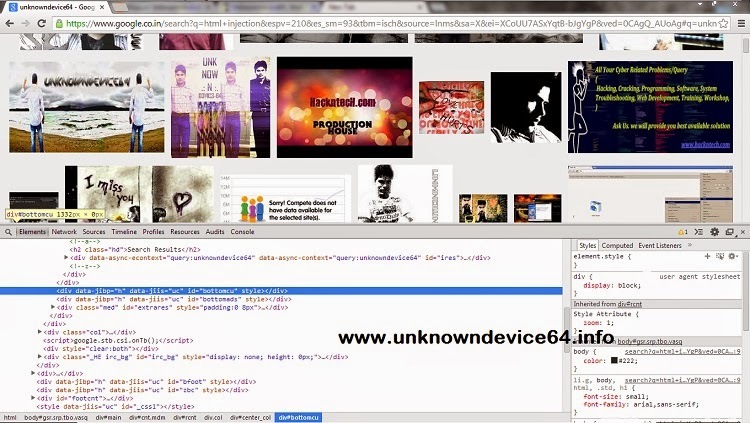 hence html injection is used by the security researcher as well as hacker, from client side using a browser. in simple words, when you open any website in browser, there may exist several options for user input, now if user input such a string which gave unexpected result from website, this is known as HTML Injection. this is the most common threat founds in websites, as to valid every unexpected user input is hard. If you want to do some experiment to understand fully this concept, you can open random website and with the help of Developer Tool (Inspect Element) you can achieve this. In below video i am using HTML Injection in Facebook, to use two profile pic at the same time, But Now Facebook Prevent this. No Comment to " Website Hacking : Introduction to HTML Injection "